Paul M. Galles, 87, of North Montgomery Street, Port Washington peacefully passed away Tuesday, August 27, 2013 at Horizon Inpatient Hospice of Columbia St. Mary’s Hospital Ozaukee in Mequon after a brief stay. He was born on August 25, 1926 in Port Washington, WI; son of Oscar and Gladys Barber Galles. He was a graduate of Port Washington High School, active in sports throughout his schooling. During the summer months he worked on Lake Michigan coal boats. He was called to serve his country from August, 1944 to June, 1946 in the United States Navy, achieving the rank of Boatswains Mate Third Class. He served on the USS Bunker Hill aircraft carrier “catching planes” which suffered many casualties from a Japanese attack during the war. On March 1, 1947, Paul married Elizabeth J. “Betty” Galles of Fredonia at St. Mary Parish in Port Washington. Together to they lived and raised their family in Port Washington. For over 37 years, Paul worked at the Wisconsin Electric Power Plant in Port Washington, retiring in 1987. He was also the City of Port Washington Assessor for over 27 years and participated on the Park and Recreation Board and Board of Appeals. He, with others, was instrumental in establishing the city’s little league baseball program through the park and recreation department. Through Wisconsin Electric he had been a member of the International Association of Operating Engineers Local 317, as well as the Van Ells-Schanen American Legion Post 82 and the Ozaukee Memorial Post 5373 Veterans of Foreign Wars. 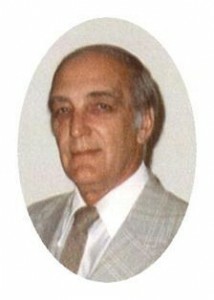 Throughout his life he enjoyed the simple things in life-family and home. Time spent duck hunting and playing golf were treasured. His grandchildren and great-grandchildren always had a special place in his heart. He is survived by his wife Elizabeth “Betty” of Port Washington, children Eric (Jean) Galles of St. Cloud, WI, Melissa Tame of Port Washington and Todd (Jeanine) Galles of Napa Valley, CA; ten grandchildren Kyla, Kathryn, Jordan, Breanna, Jennifer, Matthew, Emily, Megan, Marc and Luke and his four great-grandchildren Asher, Grayson, Gianna and Jaxson. He is further survived by his sister-in-law Judith (Don) Flierl of Port Washington, nieces, nephews, other relatives and friends. He is preceded in death by his three sisters Francis Klopp Bowman, Charlotte Scherzinger and Joyce Klopp, brother Clyde Galles and his brother-in-law Clarence “Bud” Walters. Paul’s Memorial Mass of Christian Burial will be celebrated at 12 Noon, Saturday, September 7, 2013 at St Mary Catholic Church, 430 N Johnson Street, Port Washington. Reverend Thomas Lijewski will be the celebrant. Interment will take place at St Mary’s Cemetery in Port Washington with military honors. Family will receive friends from 10-11:45AM Saturday AT CHURCH. Memorials to National Parkinson Foundation (National Parkinson Foundation Gift Processing Center; PO Box 5018; Hagerstown, MD 21741-5018) appreciated.